text of the book paragraph by paragraph and page by page. drawn in our book are in red text in this file and the additional file “Taming the Truffle Position of references 071027.pdf”. The location of information on the World Wide Web is constantly changing. [email protected] We will endeavour to update both files at least annually. to those of Suillus and Rhizopogon. Nova Hedwigia 50:1–63. Institute for Systematic Botany, University of Munich. Ahmad, S. 1956. Fungi of West Pakistan. Biological Society of Pakistan Monograph no. 1. Biological Society of Pakistan, Lahore. genus Terfezia. Ph.D. diss., Oregon State University, Corvallis. the British Mycological Society 81:83–90. Tuber multimaculatum sp. nov. Mycologia 84:925–929. Ambra, R., Grimaldi, B., Zambonelli, S., Filetici, P., Macino, G., Ballario, P. 2004. Neurospora crassa. Fungal Genetics and Biology 41:6888–6897. approaches for the detection of truffle species in processed food products. Journal of Science and Food Agriculture 82:1391–1397. Amicucci, A., Potenza, L., Guidi, C., Rossi, C., Bertini, L., Zambonelli, A., Stocchi, V.
2002b. Molecular techniques in the study of edible ectomycorrhizal mushrooms. Amicucci, A., Rossi, I., Potenza, L., Zambonelli, A., Agostini, D., Palma, F., Stocchi, V.
the ITS region. Biotechnology Letters 18(7):821–826. ectomycorrhizal fungi of the genus Tuber by species-specific ITS primers. Martani e del Serano, Spoleto. Pp. 505–509. Anonymous. 1989. A start-up’s magic mushroom. The Scientist 3(12):8. Anonymous. 1995. Electronic sniffer stalks famous fungus. New Scientist 7 January: 17. Anonymous. 2001. NZ ideal for truffles. Horticultural News September: 7. Anonymous. 2002. Truffe ou pas truffe? Les techniques d’identification se développent. Western Europe. Elsevier, Amsterdam. Pp. 135–193. reference to macrofungi. In: Winterhoff, W., ed. Fungi in Vegetation Science. Associazione micologica Bresadola. 2006. Leggi regionali, provinciali, regolamenti, etc. Available via www.ambbresadola.it/Leggi/ItaliaLex.htm (unofficial web site). plantation: description of novel truffle-like morphotypes. Mycorrhiza 16:475–484. sativum L. Sparkle. Experimental Mycology 19:275–283. mass spectrometry. Rapid Communications in Mass Spectrometry 19:3411–3415. Bardet, M.-C., Fresquet, C. 1995. Influence de la pluviométrie et de la température du sol. Baring-Gould, S. 1894. Truffles and truffle hunters. In: The Deserts of Southern France. National Biodiversity Task Force, Directorate of Environmental Affairs, Windhoek. Bauhin, G. 1623. Pinax theatri botanici. Basel. Nutrition and Soil Science 163:221–226. dello stato di micorrizazione di piantine tartufigene. Proposta di un metodo. Ministero Agricoltura e Foreste Corpo Forestale dello Stato, Roma. Bencivenga, M. 1998. Ecology and cultivation of Tuber magnatum Pico. In: Danell, E., ed. Cultivation of Edible Mycorrhizal Mushrooms. Uppsala, Sweden, 3–4 July 1998.
italiana. Spoleto e Norcia, 21–22 February 2004. Pp. 9–11. italiana. Spoleto e Norcia, 21–22 February 2004. Pp. Martani e del Serano, Spoleto. coltivata di tre anni. L’informatore agrario 52:25–26. Bencivenga, M., Vignozzi, G. 1989. I tartufi in Toscana. Vantaggio, Firenze. ectomycorrhizal fungi. Mycological Research 101:1348–1354. Phytopathological Society, St. Paul, Minn.
2003. 2 CD-ROMs. University of Victoria, Victoria, B.C. variation in truffles. Nature 394:734. Bertini, L., Agostini, D., Potenza, L., Rossi, I., Zeppa, S., Zambonelli, A., Stocchi, V.
Tuber borchii. New Phytologist 139:565–570. white truffles. FEMS Microbiology Letters 164:397–401. the field. Microbiological Research 161:59–64. Beuchat, L.R., Brenneman, T.B., Dove, C.R. 1993. Composition of the pecan truffle (T.
Bock, H. 1552. De stirpium. Wendel Rihel, Strassburg. by J. Brook for the author. Bonet, J.A., Oliach, D., Colinas, C. 2004. Cultivo de trufa negra (Tuber melanosporum). Coprinus cinereus: regulated expression of two galectins secreted by a nonclassical pathway. Microbiology 146:1841–1853. Bradley, R. 1728. Dictionarium Botanicum Woodward & Peele, London. naturali della zona di S. Miniato (Pisa). Monti e Boschi 43 (2):17–24. Morocco, 5–8 April 2004. Pp. ???????????. champignons hypogés du basin Méditerranéen. Rabat, Morocco, 5–8 April 2004. British Broadcasting Corporation. 2007. Giant truffle sets record price. British Mycological Society. 2006. Fungi of the British Isles checklist: genus/species data. Tuber melanosporum and other ectomycorrhizal fungi found in Tasmania. Ph.D. diss., University of Tasmania, Hobart. 6 March 1999. Federation Française des Trufficulteurs, Paris. Pp. 331–333. no. 134. New Phytologist 154:275–304. Centre for International Agricultural Research, Canberra. Bruni, F. 1891. Tartufi. Hoepli, Milano. Bulliard, P. 1791. Histoire des champignon de la France. Paris. Edible Mycorrhizal Mushrooms. Victoria, 15–22 August 2003. 2 CD-ROMs. Southern Europe. Elsevier, Amsterdam. Pp. 127–183. melanosporum. North American Truffling Society Newsletter 12(1): 2–3. Cázares, E., Luoma, D.L., Amaranthus, M.P., Chambers, C.L., Lehmkuhl, J.F. 1999. Centre technologic forestall de Catalunya. 2007. La tòfana, el diamante negre de la cuina. micologica, Vol. 28(Suppl. 2). Trento. Martani e del Serano, Spoleto. Pp. 1–16. Cetto, B. 1989–1992. I funghi dal vero. Vols. 1–7. Saturnia, Trento. Chatin, G.A. 1892. La truffe: botanique de la truffe et des plantes truffiaeres-sol-climatpays producteurs-conserves-prâeparations culinaires. Baillière, Paris. from China. Acta Botanica Yunnanica 27:385–389. Chengdu Oriental Foodstuff Trading Co. Ltd. 2007. http://218.246.702.76:8080/index.asp. cultures pures du champignon. Annales de phytopathologie 2:163–182. et Quercus pubescens sous aerosol nutritive. Agronomie 6:563–564. pures du champignon. Annales de phytopathologie 7:338. Chevalier, G., Desmas, C., Frochot, H., Riousset, L. 1978. L’espèce Tuber aestivum Vitt. I. Définition. Mushroom Science 10:957–975. Montana dei Monti Martani e del Serano, Spoleto. Pp. 157–166. Chevalier, G., Frochot, H. 1997. La truffe de Bourgogne (Tuber uncinatum Chatin). melanosporum Vitt.). Mushroom Science 10:483–505. des Tuberacéae et des Cistacéae. Annals de phytopathologia 7:355–356. 1988. Comunità Montana dei Monti Martani e del Serano, Spoleto. Pp. 409–413. Montana dei Monti Martani e del Serano, Spoleto. Pp. 37–44. November 1988. Comunità Montana dei Monti Martani e del Serano, Spoleto. Pp. produzione, mercato e prezzi. L’informatore agrario 47:51–62. Ciccarelli, A. 1564. Opusculum de tuberibus. Pavia. Ciesla, W.M. 2002. Non-Wood Forest Products from Temperate Broad-Leaved Trees. Claus, R., Hoppen, H.O., Karg, H. 1981. The secret of truffles: A steroidal pheromone? Clavel, G. 2005. La truffe, “diamant noir” des gourmets, mais attention aux imitations. forest. Canadian Journal of Forest Research 29:1259–1268. Colgan III, W., Trappe, J. 1997. NATS truffle and truffle-like fungi. 7. Tuber anniae sp. aptitude para el cultivo de trufa negra (Tuber melanosporum Vitt.) en Cataluña. Departament de medi ambient I habitage, Generalitat de Catalunya, Solsona. and T. indicum. Mycotaxon 63:77–86. Cooke, M.C., Massee, G. 1892. Himalayan truffles. Grevillea 20:67. Coughan, A.P., Piché, Y. 2003. Method for synthesizing ectomycorrhiza in vitro. U.S.
studying mycorrhizal associations. In: Declerck, S., Strullu, D.G., Fortin, A., eds. In Vitro Culture of Mycorrhizas. Springer, Heidelberg. Pp. 235–249. Courtecuisse, R., Duhem, B. 1995. Mushrooms and Toadstools of Britain and Europe. Chine. Le trufficulteur français 11:10–11. Critchfield, H.J. 1974. General climatology. Prentice-Hall, New Jersey. CTIFL. 2003. La truffe noire (Tuber melanosporum), se cultive. DVD. CTIFL, Paris. interdisciplinary field. New Phytologist 150:555–562. Danell, E. 2000a. Cantharellus. In: Cairney, J.W.G., Chambers, S.M., eds. Sphaerosporella brunnea (Pezizales). Mycologia 76(3):454–461. David, E. 1981. French Provincial Cooking. Penguin, Middlesex. De Bary, H.A. 1879. Die Erscheinung der Symbiose. Strassbourg. de la Varenne, F.P. 1651. Le cuisinier François. Paris. ectomycorrhizas published since 1961. Mycological Research 109:1063–1104. degli Studi di Sassari (I), 35(2):415–418. Casuarina, and Eucalyptus. Mycorrhiza 5:129–138. Della Porta, G. 1588. Phytognomonica octo libris contenta. Orazio Salviani, Naples. Cultivation of Edible Mushrooms. Academic Press, London. Pp. 645–681. product and aromatic body obtained. U.S. patent 4,906,487.
salicifolium–Terfezia claveryi et Helianthemum salicifolium–Terfezia leptoderma. Canadian Journal of Botany 63:582–591. Di Massimo, G., Bencivenga, M., Tedeschini, E., Garcia Montero, G., Manjon, J.L. Dobermann, A., Fairhurst, T. 2000. Rice: Nutrient Disorders and Nutrient Management. Quercus faginea. Forest Ecology and Management 231:226–233. 1999. Federation Française des Trufficulteurs, Paris. Pp. 437–440. Science and Cultivation of Truffles. Aix-en-Provence, France, 3–6 March 1999. Federation Française des Trufficulteurs, Paris. Pp. 142–146. avocado orchards. Hort Technolology 12:601–605. 7 March 1999. Paris, Federation Français des trufficulteurs. Pp. 205–207. particular reference to Western Australia. Mycorrhiza 8:71–79. conditions. Australian Journal of Experimental Agriculture 42:71–81. for primordia initiation and basidiocarp maturation in Coprinus stercorarius. Etayo, M.L., De Miguel, A.M. 2001. Effect of mulching on Tuber melanosporum Vitt. and the Isle of Wight. Vol. 1. University of London, London. Pp. 82–87. Ferdman, Y., Aviram, S., Roth-Bejerano, N., Trappe, J.M., Kagan-Zur, V. 2005.
da fiore ornamentali e forestali. Edagricole, Bologna. Fioc, L. 1987. La truffe telle que je la pratique. Fioc, Saint Paul-Trois-Chateaux. melanosporum. Informe a la Junta de Castilla y León. Spain, 28 November–2 December 2005. Universidad Murcia, Murcia. P. 49. Flück, M. 1995. Welcher pilz ist das? Franckh-Kosmos Verlag, Stuttgart. Pinus nigra Arnold. Allionia 17:15–18. Pinus strobus e pioppo euroamericano. Allionia 15:99–104. Tirmania d’Algérie. Canadian Journal of Botany 70:2453–2460. Fortin, A., Bécard, G., Declerck, S., Dalpé, Y., St-Arnaud, M., Coughlan, A.P., Piché, Y.
symbiosis of Acacia holosericea with Pisolithus alba. New Phytologist 153:81–89. Frank, A.B. 1877. Über die biologischen Verhältnisse des Thallus einiger Krustenflechten. Beiträge zur Biologie der Pflanzen 2:123–200. 1988. Comunità Montana dei Monti Martani e del Serano, Spoleto. Pp. 289–296. Pinder, R., eds. Wine: A Scientific Exploration. Taylor and Francis, London. Pp. Garbaye, J. 1994. Helper bacteria: a new dimension to the mycorrhizal symbiosis. Tansley review no. 76. New Phytologist 128:197–210. bare-root nurseries. Biology and Fertility of Soils 13:55–57. laurifolius to produce Tuber melanosporum carpophores in truffle culture. García-Falces, R.S., De Miguel Velasco, A.M. 2008. La trufa. ITG Agrícola, S.A., Navarra. Gardin, L. 2005. I tartufi minori in Toscana. Arsia, Florence. 1999. Federation Française des Trufficulteurs, Paris. Guardian. 2003. Gourmet gangs get a taste for the finer things. relativa alla commercializzazione dei materiali forestali di moltiplicazione. Genc, C. 2006. World fertilizer use manual: hazelnut or filbert (Corylus avellana L.). Gerard, J. 1597. Herball, Generall Historie of Plants. Reprint 1985. Crescent, New York. German Poodle Clubs. 1907. Der Deutsche Pudel. Munich. Accademia delle Scienze dell’Istituto di Bologna 4:287–314. Communications in Mass Spectrometry 19:2365–2370. Vitro Cultivation of Mycorrhizas. Springer, Berlin. Pp. 253–270. Giovannetti, G. 1980. Method of producing plants mycorryzated with symbiotic fungi. Italian patent 1,128,367; U.S. patent 4,345,403 (1982). 1988. Comunità Montana dei Monti Martani e del Serano, Spoleto. Pp. 297–302. Giovannetti, G., Fontana, A. 1980–1981. Simbiosi micorrizica di Tuber macrosporum Vitt. con alcune Fagales. Allionia 24:13–17. Girard, M., Verlhac, A. 1987. Experimentation truffière. Infos 32:23–28. exhibiting a long fruiting season. Mycological Research 104:1000–1004. Tuber (Micheli ex Wiggers: Fr.) el la provincia de Jaen. I. Lactarius 4:40–46. Regione Toscana: Il tartufo. Compagnia delle Foreste, Arezzo. Pp. 148–155. Tuber di interesse economico. Micologia Italiana 24(2):101–117. Granetti, B., De Angelis, A., Materazzi, G. 2005. Umbria terra di tartufi, Regione Umbria. Agricoltura e Foreste, Dipartimento Foreste, Padova. Tipografia, Vicenza. Montana dei Monti Martani e del Serano, Spoleto. Pp. 211–218. Grente, J. 1972–1974. Perspectives pour une trufficulture moderne. INRA, ClermontFerrand. hebdomadaires des seances de l’Academie des sciences, Serie D 275:743–746. Grente, J., Delmas, J., Poitou, N., Chevalier, G. 1974. Faits nouveaux sur la truffe. D.L. 2000. International code of botanical nomenclature: electronic version. Zealand Soil Survey Report no. 29. Groupement Européen Tuber (Grupo Europeo Tuber, Gruppo Europeo Tuber). 2002.
truffier en Europe (2003–2007). Fédération Française des Trufficulteurs, Paris. Spain, 15–17 November 1995. Cahiers Options Méditerranéennes 20:139–144. Halász, K., Bratek, Z., Szegoe, D., Rudnóy, S., Rácz, I., Lásztity, D., Trappe, J.M. 2005. Tests of species concepts of the small, white, European group of Tuber spp. inoculum. Transactions of the British Mycological Society 67:409–411. Agriculture. ARL, New York. Pp. 141–174. Hall, I.R. 2006. 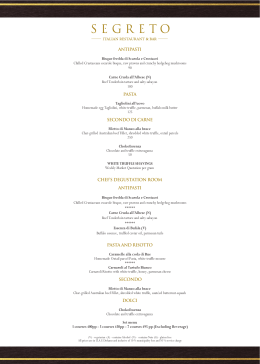 Truffles & Mushrooms web site. www.trufflesandmushrooms.co.nz. Hall, I.R., Brown, G., Byars, J. 2001. The Black Truffle: Its History, Uses and Cultivation. Poisonous Mushrooms of the World. Timber Press, Portland, Ore.
de la trufficulture, 28 March 2003, Cuzance, pres de Martel, Lot. CTIFL, Paris. mushrooms. Trends in Biotechnology 21:433–438. Zealand Institute for Crop and Food Research Limited. bodies. 3. Tuber magnatum, Tuberaceae. Economic Botany 52:192–200. Mushroom Biology and Mushroom Products. Acta Edulis Fungi 12:45–60. Hall, I.R. ; Strong, G.; Dixon, C. 2002b. Production of Périgord black truffle-infected plants. RPB2, -tubulin, and LSU rDNA. Molecular Phylogenetics and Evolution 36:1–23. Hansen, J. 1982. A fungus in every pot. New Scientist 95:550–551. Academy of Sciences, Ser. 3, 1:241–292. Harley, J.L., Smith, S.E. 1983. Mycorrhizal Symbiosis. Academic Press, London. of Crop and Horticultural Science 24:183–190. He, X.-Y., Li, H.-M., Wang, Y. 2004. Tuber zhangdianense sp. nov. from China. evidence for its classification in the Pezizaceae. Mycologia 95:765–772. Heimsch, C. 1958. The first recorded truffle from Texas. Mycologia 50:657–660. the ribosomal DNA spacers. Mycological Research 98(1):37–43. Mycorrhizal Mushrooms. Murcia, Spain, 28 November–2 December 2005. Universidad de Murcia, Murcia. P. 70.
peeking into the black box. Molecular Ecology 10:1855–1871. Horton, T.R., Molina, R., Hood, K. 2005. Douglas-fir ectomycorrhizae in 40- and 400-yearold stands: mycobiont availability to late successional western hemlock. How Much Is That Worth Today? 2005. eh.net/hmit/ppowerbp/. Experimental Forestry (National Taiwan University) 6:79–86. Mushrooms of Japan. Yama-kei, Tokyo (in Japanese). International Culture Collection of Arbuscular and Vesicular-Arbuscular Mycorrhizal Fungi. ectomycorrhizas by PCR. Mycological Research 110:60–65. Jacobson, P. 1990. Sleuths sniff out truffle faking ring. Times (London), 6 January. Zealand Ministry of Agriculture and Fisheries, Invermay. Johansson, J. 2001. Ecology and control of oak mildew (Microsphaera alphitoides). Johnston, B. 2000. Gold is not worth its weight in truffles. Daily Telegraph, 14 November. Jongbloed, M. 2005. Desert truffles, a disappearing delicacy. Al Shindagah March–April. Kalotas, A.C. 1996 Aboriginal knowledge and use of fungi. In: Fungi of Australia. Vol IB. Commonwealth Scientific and Industrial Research Organisation, Melbourne. Pp. KBC Tree Shelters. 2006. www.killyleaghbox.co.uk/horticulture.htm. Kendrick, B. 2002. The Fifth Kingdom on CD-ROM. Mycologue Publications, Sidney. Mushrooms. Murcia, Spain, 28 November–2 December 2005. P. 75. Terfezia terfezioides with Robinia pseudoacacia and Helianthemum ovatum. Kropp, B.R., Mueller, G.M. 2000. Laccaria. In: Cairney, J.W.G., Chambers, S.M., eds. Ectomycorrhizal Fungi: Key Genera in Profile. Springer Verlag, Berlin. Pp. 65–88. cinereus. Microbiology and Molecular Biology Reviews 64:315–353. presence of pesticides. Microbiological Research 157:127–137. Southampton and Its Region. Southampton University Press, Southampton. Lange, C. 2001. Status over Sommer-Trøffel i Danmark. Svampe 43:5–8. Læssøe, T., Hansen, K. 2007. Truffle trouble. What happened to the Tuberales? Leake, J.R., Johnson, D., Donnelly, D., Muckle, G.E., Boddy, L., Read, D.J. 2004. Ireland. Horace Cox, London. Pp. 185–187. International Society for Horticultural Science. Acta Horticulturae 556:513–520. in North-eastern Namibia. Gamwberg Macmillan, Windhoek. from the Middle Eocene. American journal of botany 84: 410-412. Survey of Climatology. Vol. 5, Climates of Northern and Western Europe. Linnaeus, C. 1753. Species Plantarum. 2 vols. Reprint 1957–1959. Ray Society, London. Little, R.C. 1971. The treatment of iron deficiency. In: Trace Elements in Soil and Crops. Stationery Office, London. Pp. 45–61. amplification of microsatellite regions. Mycological Research 101:425–432. soil surface layer properties and soil differentiation. Plant and Soil 214:85–92. Quaderni di Scienza del Suolo 5:143–159. naturali delle Crete Senesi. Monti e Boschi 42(5):17–24. green-tree retention. Forest Ecology and Management 202:337–354. Luppi-Mosca, A.M., Fontana, A. 1977. Researches on Tuber melanosporum ecology. IV. Mycological analyses of central Italy truffle soils. Allionia 22:105–114. products: fruiting bodies and mycorrhizal seedlings. Mycorrhiza 11(2):89–94. no. 184. New Zealand Forest Research Institute, Rotorua. Malajczuk, N., Molina, R., Trappe, J. 1982. Ectomycorrhiza formation in Eucalyptus. I. Health. American Phytopathological Society, St. Paul, Minn. Pp. 83–100. classification, culture. Revue de Mycologie: Mémoire hors-série 1:1–92. mycorhization et la microflore associée. Agronomie 10:77–84. roots by the ecto-mycorrhizal species Tuber melanosporum and its competitors. melanosporum: effect of soil disinfestation and co-culture with Festuca ovina. among native Bahraini and non-Bahraini peoples of the Kingdom of Bahrain. Mannozzi-Torini, L. 1976. 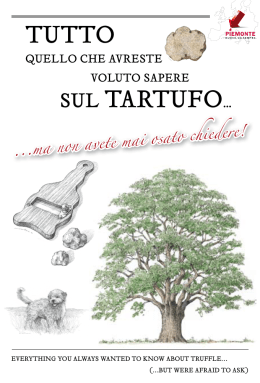 Manuale di tartuficoltura: tartufi e tartuficoltura in Italia. Mannozzi-Torini, L. 1984. Il Tartufo e la sua coltivazione. Edagricole, Bologna. Mycologique des Pyrénées Méditerranéennes, Perpignan, France. truffle – head-space analysis and vapor analysis at high mass resolution. International Journal of Mass Spectrometry 249–250:60–67. Marino, R., Cerone, G., Rana, G.L. 2003. Studi sui funghi ipogei della Basilicata. II. and soil bacteria. Phytopathology 59:153–163. with emphasis on Oregon coniferous forests. Ecology 59:799–809. in unsterile soil. Plant and Soil 71:247–256. mycelium truffier. Comptes rendus de l’Academie des sciences, Paris. Maybury, G. 2002. Pig Apples. Scholastic, Auckland. Mayle, P. 1990. A Year in Provence. Pan, London. Mayle, P. 1992. Toujours Provence. Pan, London. Mayle, P. 1999. Encore Provence. Hamilton, London. Conservation Nursery Associations, 1998. General Technical Report no. SRS-25. detection of white truffles in mycorrhizal roots. New Phytologist 141(3):511–516. outside a truffle ground. Environmental Microbiology 7:55–65. Svrcek and Kubicka in piantine tartufigene. Allionia 28:109–116. Micheli, P.A. 1729. Nova plantarum genera juxta Tournafortii methodum disposita. sediments in Tuscany. Agricoltura Mediterranea 122:275–281. mycelial growth of Pleurotus eryngii. Nippon-kingakukai-kaiho 39:83–87. among Pacific Northwest conifers and fungi. Forest Science 28:423-258.
development. In: Read, D.J., Lewis, D.H., Fitter, A.H., and Alexander, I.J. eds. Mycorrhizas in ecosystems. CAB International. Oxford. Pp. 106-112. Allen, M.F. ed. Mycorrhizal functioning: An integrative plant-fungal process. Chapman Hall, New York. Pp. 357-423. Molina, R., O’Dell, T., Luoma, D., Amaranthus, M., Castellano, M., Russel, K. 1993. Agriculture Forest Service, Portland, Ore.
Mycorrhizal Research. American Phytopathological Society, St. Paul, Minn. Pp. Moore, D. 1998. Fungal Morphogenesis. Cambridge University Press, Cambridge. Moore, I. 1985. The Truffle Hunter. Arrow Books (Beaver Books), London. Morcillo Serra, M., Moreno Arroyo, B., Pulido Calmaestra, E., Sánchez Sánchez, M. 2007. Manual de Truficultura Andaluza. Consejería de Medio Ambiente, Sevilla. December 2005. Universidad de Murcia, Murcia. hypogeous fungi from Spain. Mycological Research 104:378–381. rare vernal hypogeous mycorrhizal fungus. Persoonia 17:637–641. delle alberature. Pàtron, Quarto inferiore, Bologna. the below-ground fungal community in a natural Tuber magnatum truffle-ground. Nagy, M. 1988. Untersuchung von getrüffelten Fleischerzeugnissen auf Trüffeln. National Institute of Water and Atmospheric Research. 2007. www.niwa.co.nz/ncc. Nazzaro, F., Fratianni, F., Picariello, G., Coppola, R., Reale, A., Di Luccia, A. 2007.
aspects in black truffles. Food Chemistry 103:344–354. ectomycorrhizal fungus Amanita muscaria. Plant Cell and Environment 24:741747. New Zealand Department of Scientific and Industrial Research, Soils Bureau. 1968. American Truffling Society, Corvallis, Ore.
and 28S ribosomal DNA sequence analysis. Mycologia 89:48–65. World Forestry Congress. Vol. 3, Forestry for Food. Pp. 1013–1021. Olivier, J.M. 2000. Progress in the cultivation of truffles. In: Van Griensven, L.J.L.D. ed. Olney, R. 1985. The French Menu Cookbook. Godine, Boston. Pacioni, G. 1985. 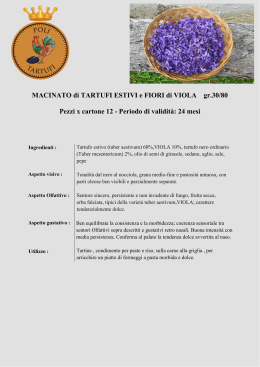 La coltivazione moderna e redditizia del tartufo: Guida practica. Giovanni De Vecchi Editore S.p.A., Milano. Pacioni, G. 1989. Biology and ecology of the truffles. Acta Medica Romana 27:104–117. Pacioni, G., Comandini, O. 2000. Tuber. In: Cairney, J.W.G., Chambers, S.M., eds. Pacioni, G., Leonardi, M., Aimola, P., Ragnelli, A.M., Rubini, A.,Paolocci, F. 2007. Isolation and characterization of some mycelia inhabiting Tuber ascomata. Pacioni, G., Marra, L., eds. 1993. Tuber. Atti del convegno internazionale sul tartufo. Micologia e Vegetazione Mediterranea 7. Tuber brumale, T. melanosporum, T. rufum e semenzali di conifere e latifoglie. Tuber spp. and corresponding ectomycorrhizae through molecular markers. Journal of Science and Food Agriculture 69:511–517. Tuber magnatum. Applied and Environmental Microbiology 72:2390–2393. melanosporum Vitt. Phytopatologia Mediterranea 19:177. Payne, S. 2004. Berkshire truffles valued at £33,000. Daily Telegraph, 24 September. Pébeyre, P.-J., Pébeyre, J. 1987. Le grand livre de la truffe. Briand-Laffont, Paris. Peer, E. 1980. On the trail of the truffle. Geo 2(5):112–130. of the Israelites’. Mycologist 16:8–9. Hypogeous Fungi. Royal Botanic Gardens, Kew. Pelusio, F., Nilsson, T., Montanarella, L., Tilio, R., Larsen, B., Facchetti, S., Madsen, J.-O. sequence analysis. Molecular Phylogenetics and Evolution 13:169–180. DNA and fossil pollen evidence. Forest Ecology and Management 156:49–74. Pettenella, D., Klöhn, S., Brun, F., Carbone, F., Venzi, L., Cesaro, L., Ciccarese, L. 2004. Economic integration of urban consumers’ demand and rural forestry production. Peverill, K.I., Sparrow, L.A., Reuter, D.J. 2001. Soil Analysis: An Interpretation Manual. Phillips, R. 1981. Mushrooms and Other Fungi of Great Britain and Europe. Pan, London. Picart, F. 1980. Truffle: The Black Diamond. Agri-Truffle, Santa Rosa, Calif.
Pilz, D., Smith, J., Amaranthus, M.P., Alexander, S., Molina, R., Luoma, D. 1999. Cascades. Journal of Forestry 97(3):4–11. Pinkas, Y., Maimon, M., Shabi, E., Elisha, S., Shmulewich, Y., Freeman, S. 2000.
oak hosts in Israel. Mycological Research 104:472–477. Montana dei Monti Martani e del Serano, Spoleto. Pp. 303–311. di Tuber. Micologia Italiana 16(3):49–62. geographical distribution and mating types, causal agent of sudden oak death. melanosporum Vitt. Mycological Research 99:1367–1370. de Recherches sur les Champignons, Stage CTIFL, 1985–1986. 1988. Comunità Montana dei Monti Martani e del Serano, Spoleto. Pp. 391–396. Poitou, N., Olivier, J.M. 1990. La truffe et le cuivre. In: Bencivenga, M., Granetti, B., eds. Pollini, A. 2006. Manuale di entomologia applicata. Edagricole, Bologna. Popham, P. 2004. Champion £28,000 truffle is laid to rest in Tuscany with full honours. in Italy. Mycologia balcanica 2:209–216. determination system for ectomycorrhizae. Mycorrhiza 7:113–116. November–2 December 2005. Universidad de Murcia, Murcia. P. 106. Ramsbottom, J. 1953. Mushrooms and Toadstools. Collins, London. avellana. Nova Hedwigia 61, 281–322. Studi del Sannio, Ariano Irpino (AV), Italy. Pp. 132–137. Rebière, J. 1967. La truffe du Périgord. Fanlac, Périgueux, France. Redecker, D., Kodner, R., Graham, L.E. 2000a. Glomalean fungi from the Ordovician. Reuter, D.J., Robinson, J.B. 1986. Plant Analysis. Inkata Press, Melbourne. Reyna, S. 1992. La trufa. Mundi-Prensa, Madrid. Reyna, S. 2000. Trufa, truficultura y selvicultura trufera. Mundi-Prensa, Madrid. Tuber melanosporum Vitt. In: Hall, I.R., Wang, Y., Danell, E., Zambonelli, A., eds. Brive la Gaillarde, 2 February 2007. Dessolas, Périgueux. des fruits et légumes, Paris. Ridley, M. 2000. Genome. Harper Collins, New York. Rincón, A., Alvarez, I.F., Pera, J. 2001. Inoculation of containerized Pinus pinea L.
seedlings with seven ectomycorrhizal fungi. Mycorrhiza 11:265–271. Rossi, I., Bartolacci, B., Potenza, L., Bertini, L., Barbieri, E., Stocchi, V. 2000. 1988. Comunità Montana dei Monti Martani e del Serano, Spoleto. Pp. 483–493. Royce, D.J. 1996. Specialty mushrooms. In: J. Janick, ed. Progress in New Crops. American Society for Horticultural Science Press, Arlington, Va. Pp. 464–475. molecular-typed Tuber magnatum ectomycorrhizae. Mycorrhiza 11:179–185. Sanders, M. 2003. From Here, You Can’t See Paris: Seasons of a French Village. Sauvignac, J.C. 2007. Truffes et canicule. La Fédération Française des Trufficulteurs. Sbrana, C., Agnolucci, M., Bedini, S., Lepara, A., Toffanin, A., Giovannetti, M., Nuti, M.P. Tuber borchii ascocarps. Canadian Journal of Microbiology 46:259–268. the ectomycorrhizal fungus Amanita muscaria. New Phytologist 168:205–216. Schweizerischen Naturforschenden Gesellschaft Basel 5:527–550. Séjalon Delmas, N., Roux, C., Martins, M., Kulifaj, M., Becard, G., Dargent, R. 2000. Molecular tools for the identification of Tuber melanosporum in agroindustry. Journal of Agricultural and Food Chemistry 48(6):2608–2613. 1988. Comunità Montana dei Monti Martani e del Serano, Spoleto. Pp. 611–619. the presence and absence of ectomycorrhiza. Oecologia 125:109–118. (Pinus contorta). Mycological Research 99:159–165. Signorini, D., Valli, O. 1990. Il tartufo. Ottaviano-Mistral, Sommacampagna. Singer, R. 1961. Mushrooms and Truffles. Hill, London. Singer, R., Harris, B. 1987. Mushrooms and Truffles: Botany, Cultivation and Utilization. different morphological traits. Mycorrhiza 13:107–115. platyphyllos Scop. plantlets with Tuber borchii Vittad. mycelium in pure culture. Handbook of Plant Diseases. Blackwell, London. Smith, S.E., Read, D.J. 1997. Mycorrhizal Symbiosis. Academic Press, London. Sobin, G. 2000. The Fly-Truffler. Bloomsbury, London. Song, M.-S. 2005. Taxonomic and molecular systematic studies on Tuber in China. Ph.D.
Song, M.-S., Cao, J.-Z., Yao, Y.-J. 2005. Occurrence of Tuber aestivum in China. Services d’Agronomie du Lot, Cahors–Le Montat. des Services d’Agronomie du Lot, Cahors–Le Montat. truffe, Lycée professionnel agricole et viticole de Cahors–Le Montat. Federation Française des Trufficulteurs, Paris. Pp. 466–468. d’Experimentations sur la Truffe/GIS Truffe, Le Montat. Montana dei Monti Martani e del Serano, Spoleto. Pp. 283–288. congresso internazionale sul tartufo. Spoleto, Italy, 24–27 November 1988. Comunità Montana dei Monti Martani e del Serano, Spoleto. Pp. 467–473. Splivallo, R. 2004. Truffle volatiles and exudates: identification and biological effects. Stringer, A. 2004. Boletus edulis in New Zealand: its genetic affinities and history. MSc. thesis, University of Otago, Dunedin. Sussex, Brighton and Hove. Habitat action plan for Sussex: Sussex woodlands. Switzer, S. 1727. The Practical Kitchen Gardener. Woodward, London. territorii Carpato-Pannonici. Akadémiai Kiado, Budapest. Martani e del Serano, Spoleto. Pp. 331–336. Talou, T., Delmas, M., Gaset, A. 1988. Black truffle hunting: use of gas detectors. Transactions of the British Mycological Society 91:337–338. that are wood decomposers, litter decomposers, or mycorrhizal symbionts. micorrizazione in tartufaie coltivate di Tuber aestivum Vittad. e T. borchii Vittad. Tannahill, R. 1995. Food in History. Three Rivers Press, New York. propagule communities. Molecular Ecology 8:1837–1850. on the Kalahari Desert truffle, Terfezia pfeilii. Mycological Research 99:874–878. Taylor, P. 2005. Giant truffle a feast of patience. The Australian 16 June. diversity of pezizalean ectomycorrhiza. New Phytologist 170:581–596. Tibiletti, E., Zambonelli, A. 1999. I tartufi della provincia di Forlì-Cesena. Pàtron, Bologna. quality. Annals of Botany 89: 783-789.
compounds from the mycelium of Tuber borchii Vitt. Phytochemistry 55:983–985. sperimentale per la selvicoltura Arezzo 16:425–541. Sperimentale per la Selvicoltura Arezzo. Pp 425-507. Toy, S., Kapner, F., Westley, A. 1990. Pity the truffler . . . his troubles are mushrooming. Business Week, 17 December, 36.
and their relatives). Mycotaxon 9:297–340. 1984. Forest Research Laboratory, Corvallis, Ore. Pp. 25–29. Trappe, J.M., Castellano, M.A. 2005. Keys to the genera of truffles (Ascomycetes). African Kalahari: ecology, ethnomycology and taxonomy. In prep. Trappe, J.M., Jumpponen, A.M., Cazares, E. 1996. NATS truffle and truffle-like fungi. 5. Tuber lyonii (= T. texense), with a key to the spiny-spored Tuber species groups. Service, Pacific Northwest Station, Corvallis, Ore. Pp. 165–179. interactions and relevance. In: Gianinazzi-Pearson, V., Gianinazzi, S., eds. Mycorrhizae: Physiology and Genetics. INRA, Paris. Pp. 133–146. mycorrhiza formation to pesticides. Annual Review of Phytopathology 22:331-59.
characteristics and functions. Mycorrhiza 11:167–177. Troisgros, J., Troisgros, P. 1978. The Nouvelle Cuisine of Jean and Pierre Troisgros. Translated by R.W. Smoler. Morrow, New York. Tulasne, L.R. 1851. Fungi hypogaei. Paris. U.S. Department of Agriculture. 1997. BT (Bacillus thuringiensis) toxin resources. Van der Walt, P., Le Riche, E. 1999. The Kalahari and Its Plants. Info Naturae, Pretoria. Vignaud, G. 2006. La nouvelle norme “truffes fraîches”. Le trufficulteur. OctoberNovember-December. Pp. 11-14. Vinay, M., Pirazzi, R. 2001. Realtà ed esigenze per la coltivazione di T. borchii Vittad. e T.
6 March 1999. Federation Française des Trufficulteurs, Paris. Pp. 425–430. vegetables and field crops. Michigan State University Extension Bulletin E-486. Vittadini, C. 1831. Monographia tuberacearum. Mediolani. D.T. eds. The Fungal Community: Its Organization and Role in the Ecosystem. 2nd ed. Marcel Dekker, New York. Pp. 563–581. Wang, X., Liu, P., Yu, F. 2004. Colour Atlas of Wild Commercial Mushrooms in China. Yunnan Science and Technology Press, Kunming, China. Wang, Y., Hall, I.R. 2001. Tuber sinense and other Tuber species from south-west China. achievements. Canadian Journal of Botany 82:1063–1073. of microbial fertilizers. Haworth, Binghampton, N.Y.
Wang, Y., Hall, I.R., Evans, L. 1997. Ectomycorrhizal fungi with edible fruiting bodies. 1. Tricholoma matsutake and allied fungi. Economic Botany 51:311–327. Zealand. New Zealand Journal of Crop & Horticultural Science 23: 227–31. comments on Chinese truffles. Cryptogamie mycologie 19:113–120. Wang, Y., Tan, Z.M., Zhang, D.C., Murat, C., Jeandroz, S., Le Tacon, F. 2006a. Wang, Y., Tan, Z.M., Zhang, D.C., Murat, C., Jeandroz, S., Le Tacon, F. 2006b. different gene sequences. FEMS Microbiology Letters 259:269–281. Watson, J.D., Berry, A. 2003. DNA: The Secret of Life. Knopf, New York. Webster, P. 1990. Police sniff out truffle fraud. Guardian (about 14 November 1990). and their history on Gotland, Sweden. Mycological Research 108:304–310. Edible Mycorrhizal Mushrooms. Christchurch, New Zealand, 3–5 July 2001. CDROM. New Zealand Institute for Crop and Food Research Limited, Christchurch. hypogeous fungus Tuber aestivum syn. T. uncinatum on the island of Gotland. between Tuber melanosporum mycelia and transformed roots of Cistus incanus. forests, woodlands and heathlands. Sudden Oak Death Online Symposium. Applications. Academic Press, San Diego. Pp. 315–322. Wikipedia. 2008. Growing degree days. source by red pine (Pinus resinosa). New Phytologist 159:131–139. Yunnan Yunri Health Food Industry Development Co. Ltd. 2004. www.chinesetruffle.com. ecosystem. Annals of Microbiology 53:275–282. Tuber albidum e T. aestivum. Informatore fitopatologia 43(2):59–62. Zambonelli, A., Branzanti, M.B. 1984. Prove di micorrizazione del nocciolo con T.
aestivum e T. albidum. Micologia Italiana 13:47–52. albidum e Laccaria laccata. Micologia Italiana 16:159–164. Martani e del Serano, Spoleto. Pp 443–449. rimboschimenti con specie tartufigene: aspetti tecnico-colturali ed economici. Ministero dell’Agricoltura e delle Foreste, Rome. Zambonelli, A., Govi, G. 1983. Micorrizazione in semenzaio di Quercus pubescens Willd. con specie del genere Tuber. Micologia Italiana 1:17–22. micropropagate di Populus alba con micelio di Tuber albidum in coltura pura. sinapizans ectomycorrhizas. Mycological Research 105:611–614. carpinifolia Scop. Micologia Italiana 28:29–35. Second International Conference on Edible Mycorrhizal Mushrooms. Crop and Food Research Limited, Christchurch. Journal of Crop and Horticultural Science 33:65–73. Zambonelli, A., Salomoni, S. 1993. Tartuficoltura, che fare. Terra e vita 41:38–39. micromorfologica delle micorrize di Tuber spp. su Quercus pubescens Willd. Pinus pinea. L. Micologia Italiana 24(2):119–137. truffles. Transactions of the British Mycological Society 91:953–957. micorrizazione con Tuber melanosporum. L’informatore agrario 41:51–55. varieties and results about inoculum of Tuber magnatum Pico on a mass scale. 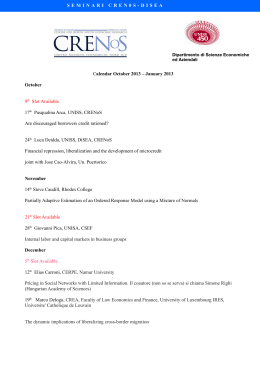 Paper presented at the Third International Congress on Hazelnut, Alba, Italy.